A shield for the Arduino which uses I2C to control 16 12-bit PWM ports. Ready for use with servos. This is the Adafruit 16-Channel servo shield. 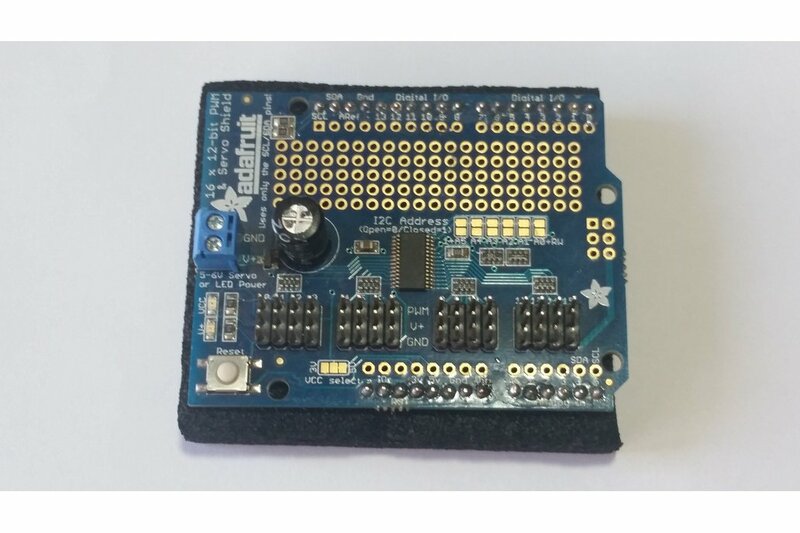 With only I2C communications, it allows an Arduino to control up to 16 additional devices via PWM signaling, such as servos. 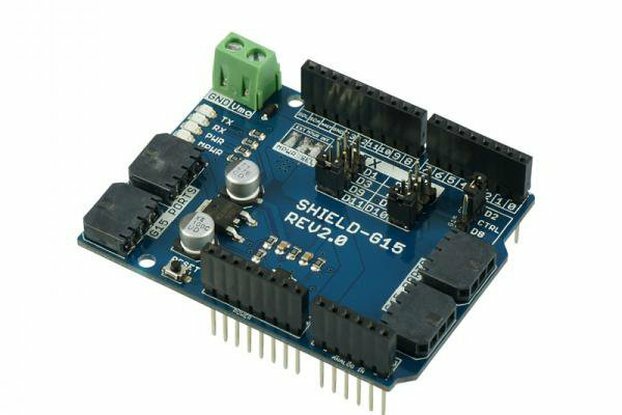 While this shield is not stackable, all of the pins are available for usage, and there is even a small area of protoboard. 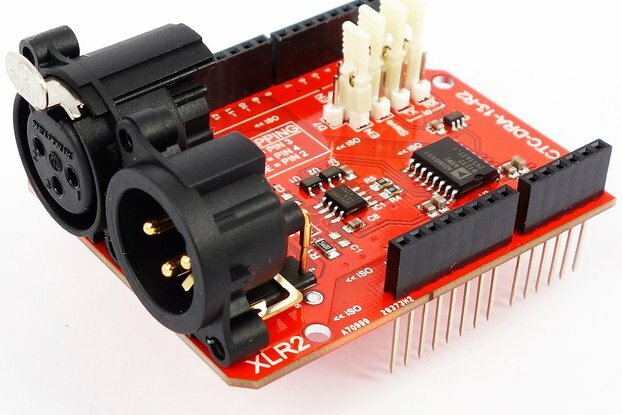 Power for the servos or similar devices can be connected via screw terminal.